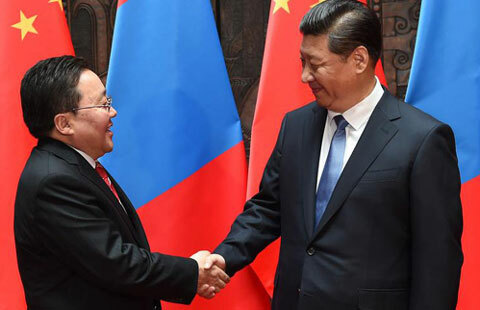 ULAN BATOR - Developing a positive relationship with China is and has been on the top of Mongolia's foreign policy agenda, a Mongolian lawmaker said Wednesday. 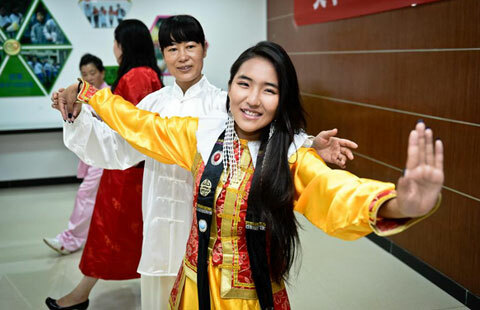 Batchimeg Migeddorj, member of Mongolia's State Great Khural (parliament), made the remarks when talking to a group of Chinese journalists invited to pay a week-long visit to the land-locked country. The bilateral ties are of "paramount importance" now, as both nations are developing rapidly and are paying much attention to their respective development environment, according to her. "Mongolia is endowed with good resources and our economy is developing at a growth rate of more than 10 percent. This is a great chance for us," she said. "Now, the imminent challenge facing us is how to develop more scientifically, how to achieve a long-standing balance between development and environmental protection and how to narrow the yawning income gap as a result of rapid and explosive development," she added. The lawmaker suggested Mongolia and China strengthen and institutionalize bilateral exchanges of views at high levels, and make the best efforts to deepen mutual understanding, which will serve as a solid basis for further and healthier development of bilateral relations. Batchimeg Migeddorj had studied the Chinese language in China back in the 20th century and has been focused on the studies of regional situation and Mongolia-China relationship. "We have a great potential for development of bilateral ties and we should make the best of it," she noted.